I signed up for Jodie’s Online Success Store course after having already started my own online business, but really needed help and insights into how to get it moving. It is kinda like you sign up to get someone who has a successful online business’s secrets on what works well, what doesn’t, what software is worthwhile investing in, what you should aim to be doing and what you might want to outsource etc. 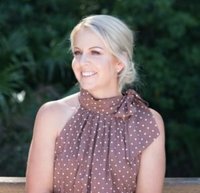 Not to say that I follow Jodie’s exact path because my business is different but I picked up SO many great tips to put into practice asap – which is the key, you need to work out what will work for you. Such a timesaver as she has tried and tested so much so this alone saves hours of research and your own trial and error. I am now working through putting many new things into place in my business, allowing time for this to happen and I have a much better plan in place to get my business running more effectively. I feel more confident in making it work! Jodie is so lovely, friendly and open and I am thankful for her wanting to share her knowledge. Very valuable! 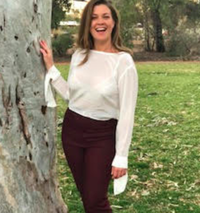 Hi, I am Tracy, C.E.O., Australian Designer and Founder of Goosebumps Clothing. I have been operating for many years now and just needed a few new pointers to get my business to the next level. I signed up for Jodie’s course hoping to achieve just this. I was not disappointed. Jodie was educated in so many different avenues of a business that I could only grow with her valuable information. Jodie was honest and genuine with all her information and help. She went over and beyond what I have ever received in any course I have signed up for. It was worth the investment and I would not hesitate to recommend Jodie. 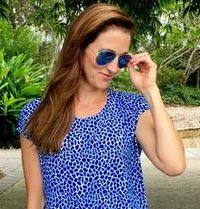 Jodie’s online course and her expertise in social media ads has been instrumental in helping me take my online clothing business to the next level. The course is well presented and extremely practical. I really love how open Jodie is about sharing her online success secrets to help others build their business. The course modules have been a fabulous learning tool that I am using now and will continue to use in the future. Jodies advice for my facebook ads helped me to understand the world of social media advertising so much more.Even the small bits of advice have had a great impact on my sales. I needed help taking my business to the next level and I didn’t know where to start. I had been struggling in the deep end for a while. As a creative, my weakness was not knowing how to create business structures and priorities but I knew that I needed to if I wanted to get out of my maze. I was finally ready to admit that I needed guidance and that was when I fell upon Jodie in a business group. Working with Jodie has been the best decision I’ve made for my business. She became my rock and my centre of accountability. I found her easy to relate to, she listens to where your business is at and helps you structure a plan and priorities to move your business forward. We had fortnightly calls and would touch base in between with whatever needs may arise. After working with Jodie for 3 months I feel like I have progressed within my business in leaps and bounds and have developed a whole new side to my brain that I never believed I had. I am now able to see where I’m at in my business, what I need to keep moving forward and create the pathways and structures to make that happen. What Jodie has taught me has been invaluable and I look forward to working with her again in the future when my business is needing its next boost. I was feeling stuck and frozen with overwhelm and frustration in my business. I knew what I had to do but I just wasn’t sure where to start or how to go about it to achieve the results I desired. The online store success program was delivered in an easy to follow, step by step format which helped me to focus on just one thing at a time. I found Jodie to be extremely supportive, available & happy to share her knowledge throughout the course. It was great to learn from someone who is in the same industry as me and has experienced the same struggles that come with being a solo business woman and growing your own business. I also enjoyed connecting with other like-minded business women and sharing our knowledge along the way. Hi, my name is Edith Meyer, I’m the owner of the fashion label Yoko Fashion. I completed the Online Store Success Programme with Jodie Minto. Jodie is an excellent instructor who really knows her stuff. She obviously is enthusiastic about the topic, and that made the course very enjoyable. Jodie’s willing to share her knowledge, even if we had questions that went beyond the course material. By following the course, I was able to learn and build on the concept with minimal questions or frustrations. I’m already applying what I learned and signed up for the Mastermind course with Jodie. So much fun. This course was amazing. It laid the groundwork for setting up your business right. I was a year into having launched a business with minimal planning and guidance, this course took me through step by step in breaking down each element and putting in place a strong base to build upon. It upskills as well as allowing critical reflection to make changes. Jodie is amazing. She is full of so much passion to grow your business and support to get you there. The course was fabulous! Being able to access Jodie’s knowledge and learnings via her own experiences, is so helpful for all of us just starting out on our own business journey’s. That kind of information really is invaluable when you are just starting out, so I’m grateful to have had the opportunity to connect with Jodie and the other people in the course. 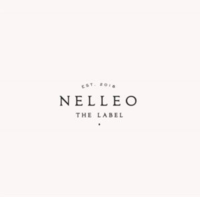 After being in retail and running brick & mortar shops for over 10 years, I was looking for someone to help take my shops and fashion label Nelleo to the next level online. 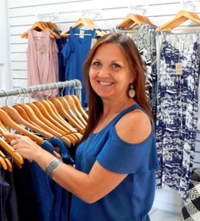 Jodie’s online course was brilliant in helping me understand the fundamentals of running an online shop and the social media aspect of retail. The course was well presented, easy to follow and had the perfect amount of detail for an online beginner like me. 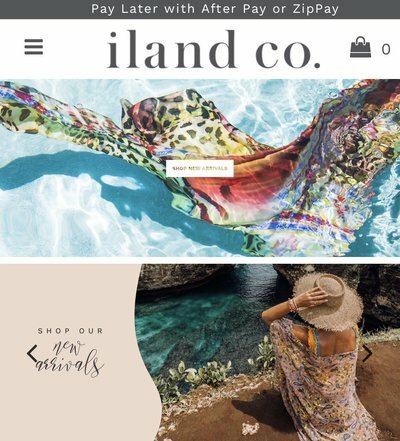 Following Jodie’s easy plans I doubled my Instagram followers in a week (with growth continuing daily), ran my first successful Facebook ad campaign and am now in the process of setting up our Shopify store. Most importantly for me, the course gave me the confidence to know what I was talking about when engaging social media and Shopify experts. This alone has been invaluable and has saved me time and money. Jodie is lovely, engaging and knows her stuff. 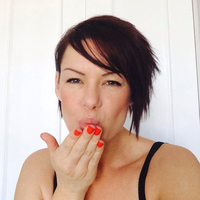 I highly recommend Jodie’s course especially to those new to running online shops, ad campaigns and social media. 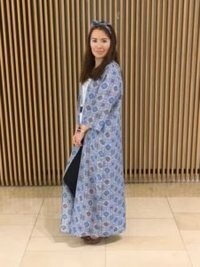 I have been madly in love with Jodie’s brand of kimonos and dresses. When I eventually got to know Jodie over the social media, I just felt this woman is so supportive and so open, that I started asking questions about creating my own brand making abayas, kimonos etc. I feel so privileged to have been coached and mentored by Jodie on this challenging and exciting journey of mine. I couldn’t have been happier for having Jodie as my guide and biggest supporter. I have gained a thorough understanding on the production side of the business within a short period of time, avoiding making costly mistakes and relevant tips for sales side of it. 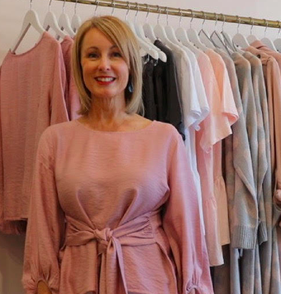 Jodie has provided me with tried and tested contacts for tailors, web design, supplier of fabrics, brand developers etc This has saved me heaps of money and time. Jodie’s style of coaching is very personable and flexible and she is quick to respond to whatsapp and emails. I have had great experience working on creating my brand from zero and looking forward to taking my business onto the next level with Jodie’s support and business knowledge. I’m sure Jodie is a ridiculously busy woman – yet she makes you feel like she has all the time in the world for you. One thing that I’ve appreciated more than anything is her genuine excitement and enthusiasm for my business. I’ve loved the intelligent, educated and adult conversation that I’ve had with Jodie and the small group of women in the group. I don’t know what I would have done without her. 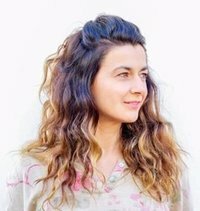 She has helped me simplify my pricing system and operations, gain more traffic and sales through Facebook ad sand even come up with new products to add to my site! Her advice around Facebook ad campaigns has been incredibly valuable. I’m so glad made the investment to join this program..
My investment has repaid itself tenfold already! I had dealt with Jodie on a few occasions prior to signing up to her Online Store Success Program. I was impressed by the success she had achieved with her business and how willing she was to offer advice and share her knowledge. 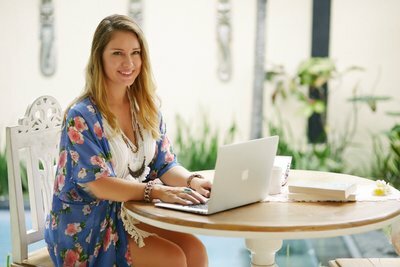 At the time of signing up to her program, I was seeking guidance to grow my online business and I found the course to be extremely valuable including having access to the modules post-course as they are handy reference tools. 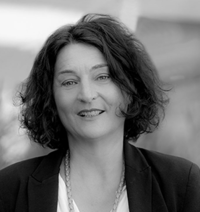 Jodie is genuinely interested in supporting other small business owners and understands our challenges.